Get to know nonprofits committed to upholding transparency and excellence. This go-to list features nonprofits that have voluntarily participated in our Accountability Wizard® nonprofit review process. 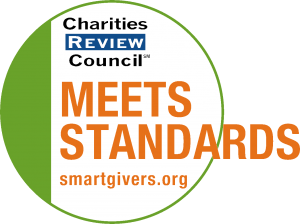 The nonprofits included currently meet our 25 Accountability Standards®. Don’t see your favorite nonprofit on our list? Invite them to participate. Eastside Meals on Wheels, Inc.
Hamm Memorial Psychiatric Clinic, Inc.
Project For Pride In Living Inc.
Twin Cities Habitat for Humanity, Inc.
United Way of Olmsted County, Inc.
United Way of the Brown County Area, Inc.
Would you like to be included on our list? Learn about our Accountability Standards®, and explore how doing an Accountability Wizard® Review can help improve your operations, build public trust, and raise standards at your organization. Don’t see your favorite nonprofit on our list?